Whew! I finished the book and immediately went into this review because it left such a huge impact on me. I truly enjoyed the story. Loved the realness, the adrenaline, and the longing throughout the chapters. There's something about gritty romances that aren't cute and perfect that just pulls me in and this one definitely pulled me in good. So much that I stopped what I was reading before and started it. I'll start by saying The Fine Line was an emotional roller-coaster for me, and that's mainly due to the protagonist. Liv drove me crazy with her inability to let go and let flow. 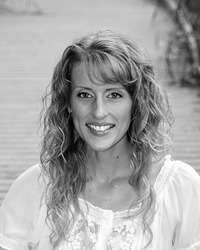 Thankfully the reasons for the unbreakable wall she'd spent years building up around herself was fully elaborated on from start, because her constant denials and unbearable back and forth torture on the knowing souls around her infuriated me to a point where I wished I could give her a good slap. Seriously. I felt so tired for Logan and even wanted him to just give up 'cause Liv was quite a work. Logan, Logan. He's not your usual bad boy with mean tats and grouchy attitude, Logan is actually really cool from jump. He isn't perfect. He has his own issues as well. But none of that mattered when he encountered Liv. The attraction between the two was instant but the relationship grew deeper over time. I liked that. Not the eagerness and their stubborn personalities pushing them apart, but it was fascinating reading how much everything was building up between them and I anticipated the day when it would all just come boiling over. Overall, the plot was very interesting. Readers will surely like the addition of street racing, witty dialogues, as well as other entertaining aspects, like Liv wanting to explore her independence. There's also clear and to the point writing style, and most of all, the emotions are real and heartfelt. There are definitely scenes where you'll get immerse in all the intensity and feel as if you're sitting at the edge waiting for the perfect reaction. I know I did. 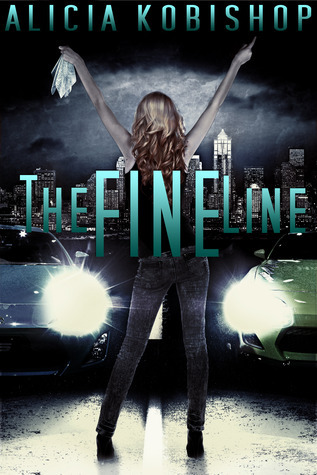 The Fine Line is edgy, funny, sad, romantic, delightful, and quick-paced. If you're looking for all that and more then this is the book for you. Wow Great review Shane! I hadn't heard of this one before but it sounds awesome! Great review, Shane! Courtney will be reviewing this for the blog, and I can't wait to see what she thinks. This book sounds really good...I think I will be adding it to my TBR! Great review! Great Review Shane! I love gritty romances! This book sounds really good. Thanks for sharing! This sounds great Shane. Wonderful review. I haven't heard of this one before - thanks for sharing, Shane! This sounds like a great romance with a very good plot. I think I'll enjoy the character development.